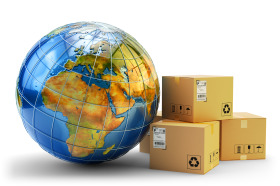 Internetretailing.net has reported the findings which suggest the US is the most desirable ecommerce export market, named by 64% of the more than 100 online retailers that took part in the Global Freight Solutions (GFS) study. Second-placed was Australia (17%) while China (13%) lagged behind. More sales take place online, at around 17%, in China than in the US, where 8.1% of sales are made online. However, the 13% of retailers that want to explore this market suggests, said GFS, a gap in local fulfilment and delivery knowledge of the region. More than half of respondents (52%) said they were looking to work more closely with external delivery experts and partners in the next 12 months. Three quarters (76%) of UK retailers said they expected to increase international revenue over the next few years. Currently most see growth coming from within the EU, and only 3% say all their growth in international revenue comes from outside the EU. However for the moment it is unclear what customs and tariff regimes will cover EU countries from the end of March. Almost all (98%) of respondents said it was important, or even critical, to offer customers a broad choice of delivery options in order to reduce cart abandonment rates. Yet, only one in 10 retailers surveyed have more than five delivery options. That chimes with IRUK Top 500 research that suggests the median UK retailer offers three delivery options.